With the ever-growing list of threats out there, one can never be too cautious. Sure you can watch what websites you visit and what you download, but even with those precautions 7 Common Sense Tips to Help You Avoid Catching Malware 7 Common Sense Tips to Help You Avoid Catching Malware The Internet has made a lot possible. Accessing information and communicating with people from far away has become a breeze. At the same time, however, our curiosity can quickly lead us down dark virtual alleys... Read More , you should have some additional protection to back you up. 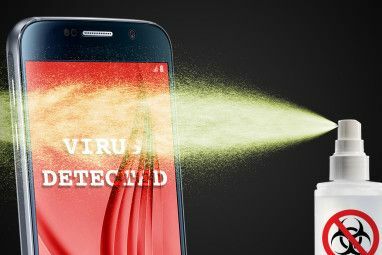 You might feel that having an antivirus program is enough, but it is often recommended to have an additional program dedicated to scanning and cleaning malware. 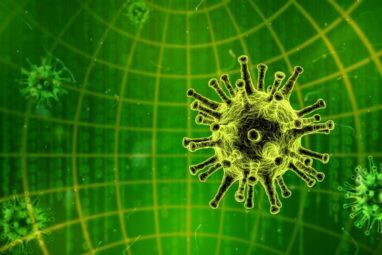 You might be wondering “what is malware?” and we’ve provided you with an answer here at MakeUseOf What Is The Difference Between A Worm, A Trojan & A Virus? [MakeUseOf Explains] What Is The Difference Between A Worm, A Trojan & A Virus? 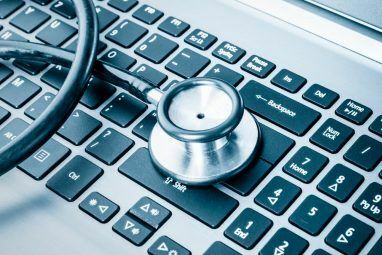 [MakeUseOf Explains] Some people call any type of malicious software a "computer virus," but that isn't accurate. Viruses, worms, and trojans are different types of malicious software with different behaviors. In particular, they spread themselves in very... Read More . Now on to digging into Spybot – Search & Destroy! During the installation you can leave Spybot to choose default settings for you or take the more advanced route. Either way, you can always customize the settings later. By going the advanced route, you’ll be prompted with windows such as the ones below. This window allows you to choose three different options to install or not: Translations, Professional Tools, and Analyst Tools. You really don’t need the Translations if you speak English and you can’t use the Professional Tools in the free version – so you could uncheck these two for sure. Analyst tools, as the description says, is for creating your own detection patterns. If you don’t think you’ll be doing that, you could probably go without installing that one as well. Note that Spybot does use a decent amount of space totaling at 135.1 MB. Next you’ll be prompted with the option for the setup to perform additional tasks during the installation. Again, if neither of these windows don’t matter to you, go for the quick install method, but it is nice to have options. As you can see, the interface is clean and easy to use. Under Basic Tools you have System Scan, File Scan, Immunization, Quarantine, Donate, Statistics, and Update. Then at the bottom you can view tips to help you utilize Spybot better, which I recommend you look into. Updating the first thing I recommend you do before you dive into any settings or scanning. Makes sense, right? In order for Spybot to scan for all the recent threats, it must have the most recent definitions. After checking for updates and installing them, I ran the check again and long behold – there was another file that needed to be updated. So be sure to check for updates until no files need to be updated. System Scan is the primary route for scanning for malicious files. Within this window are options to save the scan log, show previous logs, clean temporary files and disable 3rd-party cookies. Below is a window regarding scanning for temporary files. File Scan is great for scanning specific files and folders without running a long scan. However, realize that with this you’re using your expertise in guessing where an infection might be, so if you’re unsure, then a full scan would be better. If you want to scan a folder, such as the User folder, you should be prepared for it to take a while. Thus, you really won’t be gaining much by running a file scan and might as well just run a system scan. Again, the file scan is for scanning small folders or specific files. Immunization, as the name implies, is a way of preventing malware by blocking access to sites known to contain malicious or unwanted software using a blacklist. This depends on the browser if supports the feature. Currently the browsers which support this are Firefox and Internet Explorer. Quarantine contains all items previously removed with Spybot. The backup function must remain off and Quarantine can be used to restore. If you check the box Advanced User Mode, you will see two more sections appear in the Start Center: Advanced Tools and Professional Tools. The “professional tools” are only available in premium versions. Create Report allows you to create a single file containing all the information needed for the Spybot support team to help should you need it. Startup Tools contain the up-to-date versions of tools which have been in previous versions of Spybot along with tools like RunAlyzer, which allows you to select what programs run automatically when your computer starts up. These tools in general require some technical expertise. System Repair is a registry repair tool to fix or remove corrupt or non-functioning registry entries. It isn’t designed to replace “registry cleaners Using Registry Cleaner: Does Is It Really Make a Difference? Using Registry Cleaner: Does Is It Really Make a Difference? Advertisements for registry cleaners are all over the Web. There’s an entire industry out there bent on convincing inexperienced computer users that their registry needs fixing, and that, for ten easy payments of $29.95, their... Read More ,” which are somewhat controversial to use Don't Believe The Hype: Registry Cleaners Don't Make Windows Faster Don't Believe The Hype: Registry Cleaners Don't Make Windows Faster Much advice has been given on how to keep your computer running smoothly, as well as how to fix it when it has become slow. We have even published a Windows on Speed guide, written... Read More . You should have some technical experience if you are going to use System Repair. Rootkit Scan is the last tool among the Advanced Tools. As the name implies, it’s used to remove malware which uses rootkit technology to hide at the system level, making it undetectable by standard tools. Plugins in Spybot help to detect these forms and Rootkit Scan shows anything that uses rootkit technology, even if it’s not in the Spybot database. It checks the file system, registry and process-related lists. Settings are also located under the Advanced Tools – kind of odd, actually. However, they are quite advanced. So what are you missing by not upgrading to a pro version? Overall, the free version is very good. However, there are a few features such as the iPhone app, Boot CD Creator, Protected Repair Environment, Task Scheduling and Command Line Tools which aren’t available in the free version. So is the free version “good enough”? For typical use, probably. But if you need more functionality or are a business, you’ll need a pro version. When you click the link above, you’ll see a page like the one in the image below. At first, you might have difficulty finding the download link for the free version, so I’ve highlighted the link in the image above. Also, it’s important to note that if you have an older system, the version for those is still available as well. Spybot – Search & Destroy is, without a doubt, one of the best malware removal and scanning tools available, and also one of the first – so it has a strong reputation, which is why we have it featured on our Best Of Windows Software page. If you want to follow news on Spybot – S&D, you can on their Facebook, Twitter and YouTube pages. Do you have a success story from using Spybot – S&D? We’d love to hear! I used Spybot for a long time, then turned to something else, I now forget what. I recently had a problem and installed the latest Spybot & voila! Problem found and gone. I have used AND recommended spybot for YEARS. It is an excellent program. I started using it after I spent $200 on the worst pc prog in the world ....Norton! I remember I originally had it with my first pc but then when I updated to a newer one whatever my son installed think it was AVG thought that Spybot was a virus or something, so we removed it. Reading the article from PC magazine and yours now I'm torn between putting it back in or not? Think for now I'll just leave things as they are. I haven't used this in years... I used to love this program. But then, a few years ago, MalwareBytes became popular and it seemed to blow this out of the water. However, I think that SpyBot certainly still has a place in the software world and I should definitely give this another look. It's been far too long. Using Spybot for a few months now, good program. too bad they do not offer lifetime license, any Makeuseof rewards? I've been using Spybot for years. Although the look hasn't changed much over the years, the tools work great and I always recommend it as a secondary spyware detection and removal tool along with Malwarebytes, and a good internet security package. I'm a tech and I always use Spybot search and destroy to track down the malware. It helped me with many successful repairs. I really appreciate the efforts of SSD team for making such a powerful software. I, too, drifted away from recommending to clients to install this utility, preferring the newer tools like Malwarebytes Antimalware, Superantispyware, and Spyware Terminator and Threatfire for active protection. With Threatfire now no longer developed and some bad experiences with Spyware Terminator, it's time to look at Spybot again for its "immunization" capability. Wow. I used to thought that Spybot is a malware.. Blame the name, it made me a little skeptical. I've known about Spybot for a pretty long time, and it definitely is a good piece of software. I don't have it installed on my current computer though, but this post reminded me of it. same here, way back then their my 1st tools. now I almost forgot this one. memory. PcMag did not rate it highly, but other sources such as Softpedia still rate it as a decent product. Version 1.62 was an easy-to-understand interface that was beginner friendly and user friendly. Version 2.0 is very cumbersome, awful and inefficient! Just because Neil Reubenking and PCMag say it's bad software does not make it so. Over the past 10-15 years, at one time or another, Neil has panned most of the anti-malware products that have become everyday standards. Based on past performance, it would be hard to accuse Neil and/or PCMag of being objective.